Already boasting a remarkable lineup featuring the very best Americana & Country acts from around the world, Black Deer Festival are delighted to reveal that Sarah Darling, Jess and The Bandits, Robert Vincent, Steak, O&O, Noble Jacks, Jay Scott, Ilona, Tally Spear and Katy Hurt will join the likes of headliners Iron & Wine and Passenger, as well as Ward Thomas, double Grammy and AMA UK award winner Jason Isbell and the 400 Unit, Kiefer Sutherland, Ashley Campbell and many more stunning names for the festival’s inaugural year. Black Deer Festival is an independent festival headed up by two women Promoters with years of experience in the festival industry and is set to take place in the wonderous natural outdoor location of Eridge Park, Britain’s oldest deer park located on the Kent/East Sussex border near Tunbridge Wells – just a mere 50 minutes outside of London. In an exuberant showcase of Americana, blues, roots, authentic country, folk and bluegrass genres, Black Deer Festival will immerse attendees in the alternative lifestyle with authentic Americana-style meats, smokey whiskeys, bespoke custom motorcycle showcases and rooted storytellings from cultural pioneers, cementing itself as the UK’s newest favourite Americana & country festival and one not to be missed. Winning over the American public as a top-three finalist on E! Entertainment Television’s The Entertainer, Nashville-based singer-songwriter Sarah Darling embodies the fundamentals of country music as her distinctively svelte vocals takes her sound soaring to another plain. Achieving critical acclaim from notable Country music stars such as Brad Paisley, Darling has released several masterful albums featuring notable singles such as ‘Jack Of Hearts’, ‘Where Cowboys Ride’ and the breathtaking ‘Home To Me’, which became her first single to debut on U.S Billboard chart. Following this success, Sarah Darling has performed live on major US television programs such as Conan, Fox & Friends, and ABC’s The Bachelor – to name a few. Darling’s self-coined Dream Country sound is destined to captivate listeners and take them on a whimsical ride back to Nashville when she appears at Black Deer Festival. an upbeat and animated liveshow. ‘I’ll Make The Most Of My Sins’ at the UK Americana Awards this year and closed the special reboot of the BBC’s Old Grey Whistle Test Live: For One Night Only with a stunning live performance that he is sure to emulate at this year’s Black Deer Festival. who will be bringing their doom-lauded hard rock to Black Deer Festival this June with a more stripped back set in our Roadhouse. The raucous rock mob earnt the respect of audiences around the UK following their thundering tour supporting John Garcia of Kyuss fame, Steak are an unmissable act for those needing a dose of heavy over the Americana weekender. multi-instrumentalist and vocalist, Obadiah Jones, and Israeli vocalist, Orian Peled formed O&O and have since travelled the globe in pursuit of musical success. 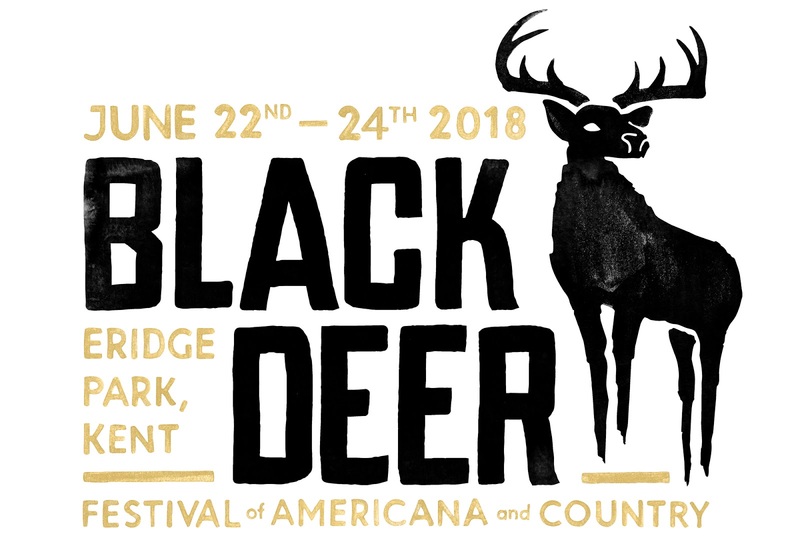 Describing their sound as Fleetwood Mac meets The Civil Wars, the duo are set to showcase their intimate and americana-tinged harmonies when they take to the Black Deer Festival stage. Jay Scott is set to satisfy the Black Deer audience as he delivers his personal and enthralling blend of indie and americana, which caught the attention of both Sony and Warner Music respectively. powerful country-pop performances featuring dulcet vocals. Her musical career has seen her jam with Ed Sheeran, support Dire Straits’ John Illsley, Newton Faulkner and Black Deer Festival headliner Passenger as well as finishing a residency at the majestic Downtown Grand in Las Vegas – she is set to take 2018 by storm following months of songwriting between London and Nashville. Noble Jacks are among the many acts not to be missed! from musical icons such as Bob Dylan and Neil Young, allowing her to create unique folk-pop stories from her time in London’s Greenwich Village. Armed with a revolutionary musical style, the 22-year-old is set to turn heads at Black Deer Festival in June. and raucous vocals of southern rock. Radio 2’s Paul Sexton described her as “One of the most exciting prospects on the burgeoning country scene, a vivacious and magnetic performer…Check her out whilst you can still get to the front row”.